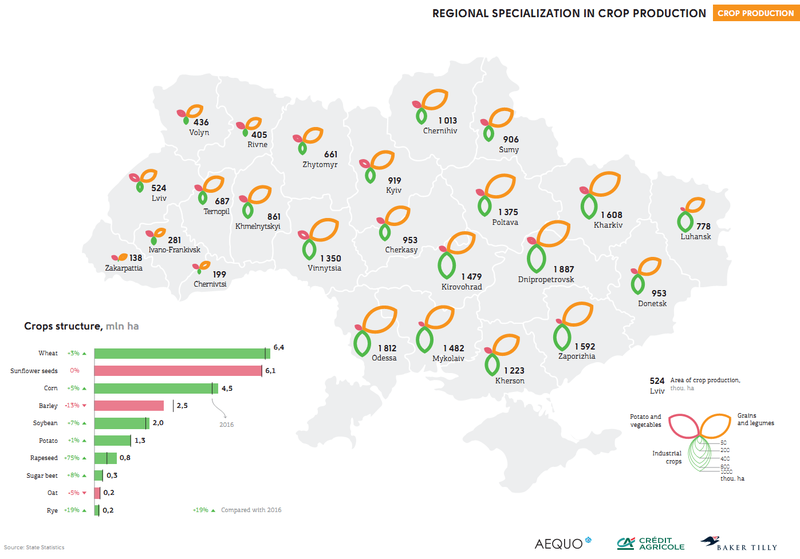 As of April 12th, early spring grain and leguminous crops are sown on an area of 2 million hectares, accounting for 89 pct of the projected areas. Corn is sown on 123 thou. hectares, 3 pct of the projected areas. peas — 274 thou. hectares (81 pct). Sugar beet is sown on the area of 185 thou. hectares, 75 pct of the forecast areas. Sunflower sowing is carried out on 736 thou. hectares, making up 13 pct of the planned areas. Follow the progress of winter crops sowing campaign and stay up to date with the latest news in the Sowing Online 2018/19 Project. The infographic guide Agribusiness of Ukraine 2017/18 is available by the link.